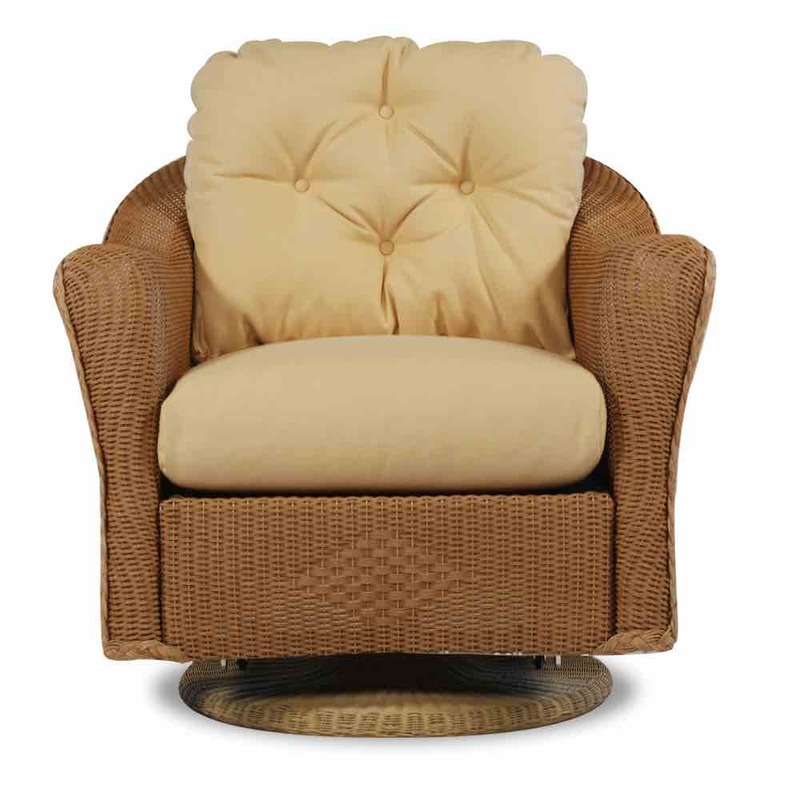 Lloyd Flanders Reflections wicker swivel glider lounge chair for total relaxation. 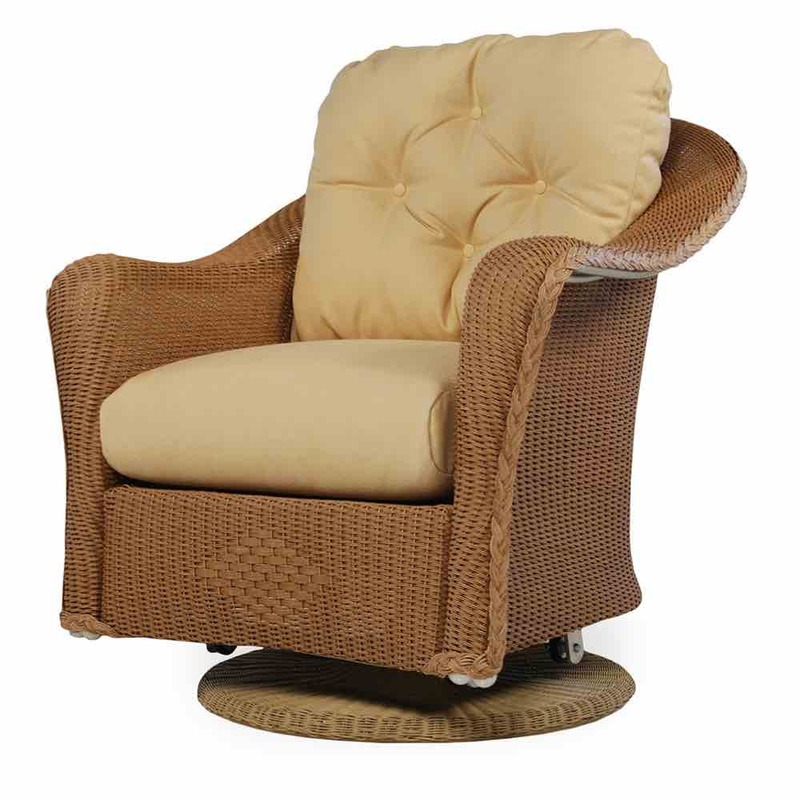 Its truly reminiscent of parlor furniture in its essence of elegant design and comfort. For use indoor or outside, this furniture can meet the requirements of just about any decor. All weather design with relaxation in mind this chair hits the mark. Reflections furniture has beautiful frame styling and loom weave cover topped with Lloyd Flanders Cloud Cushioning for luxury and maximum comfort.